Urban Risk Map is a real-time platform for sharing critical information between residents and government. Urban Risk Map harnesses the power of citizen reporting and social media to map time-critical information without needing to install any new applications or training. 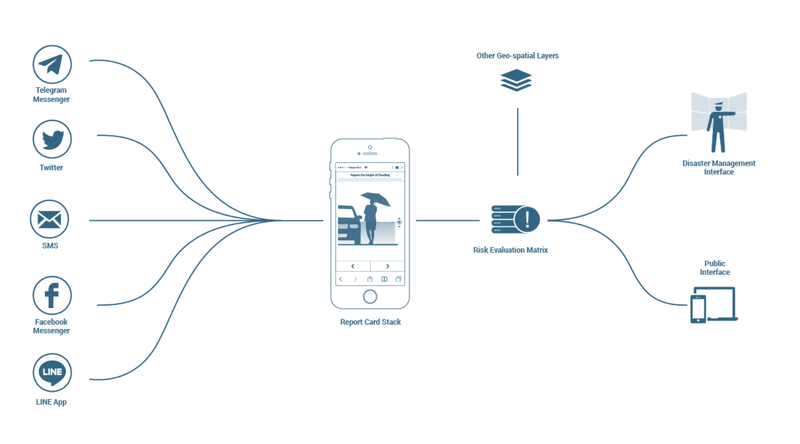 Currently operating in three countries - Indonesia, India and the United States - this platform connects residents, who often have the best-localized information, with emergency managers to drastically cut down on response times. Through the live map, residents are also able to inform each other about dynamically changing situations in the city and help each other navigate to safety. 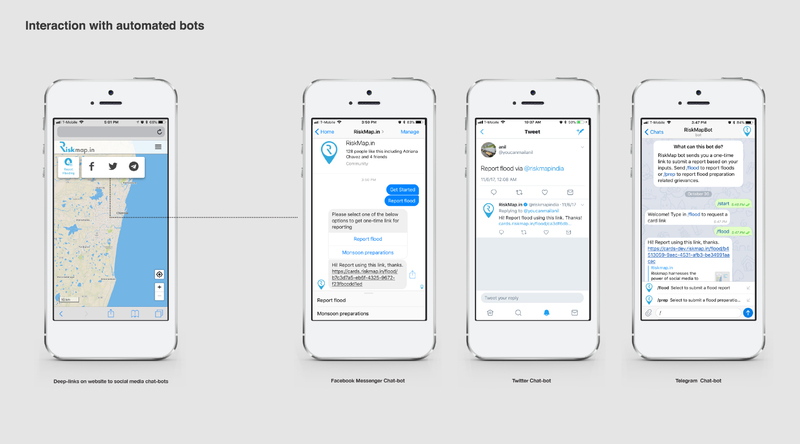 The platform currently works with Twitter, Facebook, and Telegram and also visualizes real-time sensor information, such as changing water levels in flood gauges, monitoring wells and pumping stations. 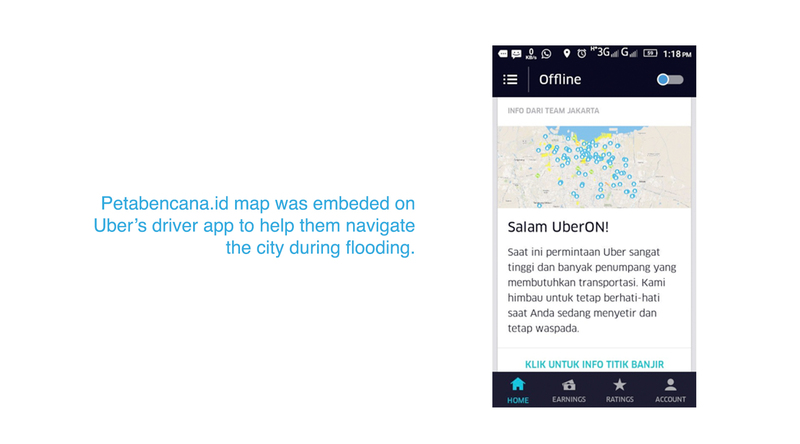 This platform was widely shared and used during high-intensity rainfall event in Jakarta on February 21, 2017, and over a quarter million residents used the website to navigate the flooded city. The public map was also embedded in the Uber app for drivers to help them travel safely through the city. 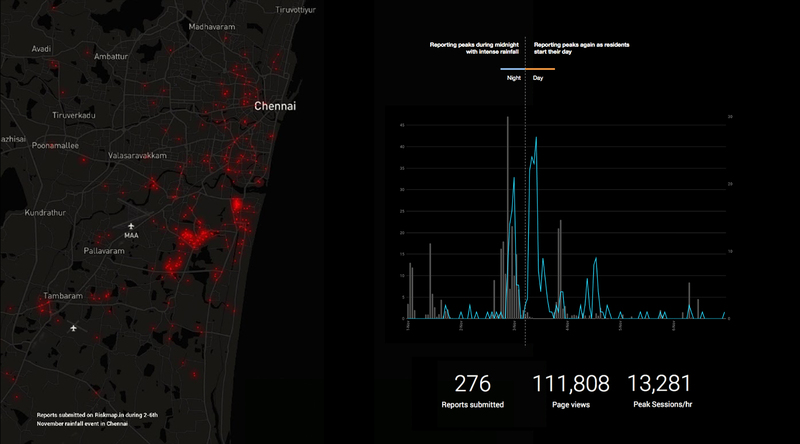 Similarly, in Chennai during a high-intensity single day rainfall event on November 2, 2017, the Riskmap.in website received 1152 page views a minute at its peak with a total of 111,808 page views in 24 hours. Current research work also focuses on extending the system beyond flooding to include multiple hazards types and developing custom decision support tools for the governments. We are actively working on integrating weather data and leveraging machine learning to automate outreach to inform residents to prepare before the peak of the storm, which enhances the two-way communication capabilities of this platform. 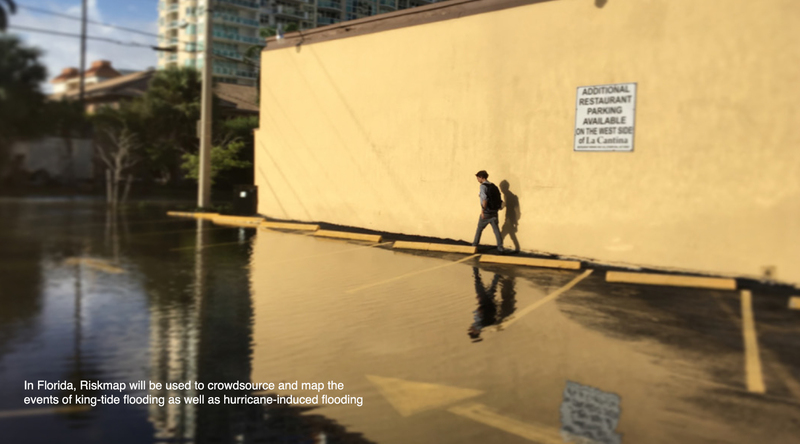 This project, supported by Broward County, had a beta-launch in October to respond to the flooding caused by Hurricane Irma. 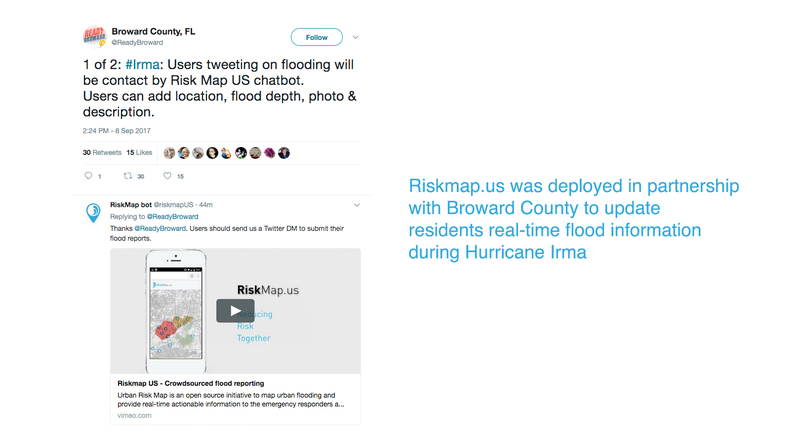 We will be working with Broward County to fully deploy Riskmap.us for future hurricane induced flooding as well as tidal and sunny-day flood occurrences in Broward county, Florida. 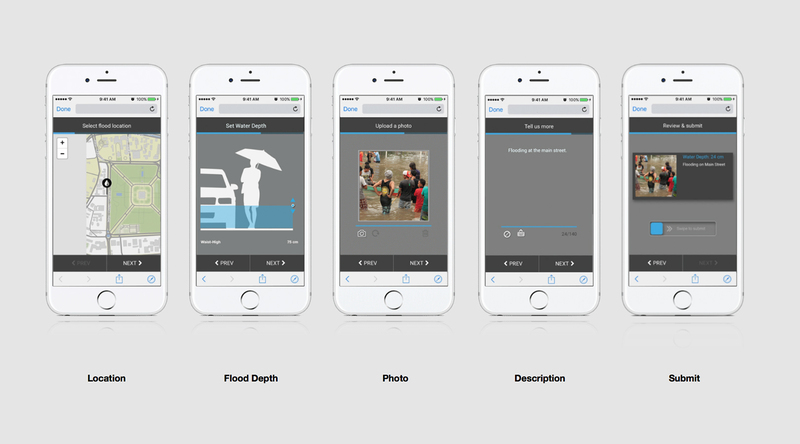 This project, supported by USAID, the Indonesia’s National Agency for Disaster Management and in collaboration with the Pacific Disaster Center at the University of Hawaii, allows residents to share vital flood information using social messaging apps. Confirmed flood reports are added to a publicly available map helping to inform communities and emergency agencies of the flood situation in real-time. 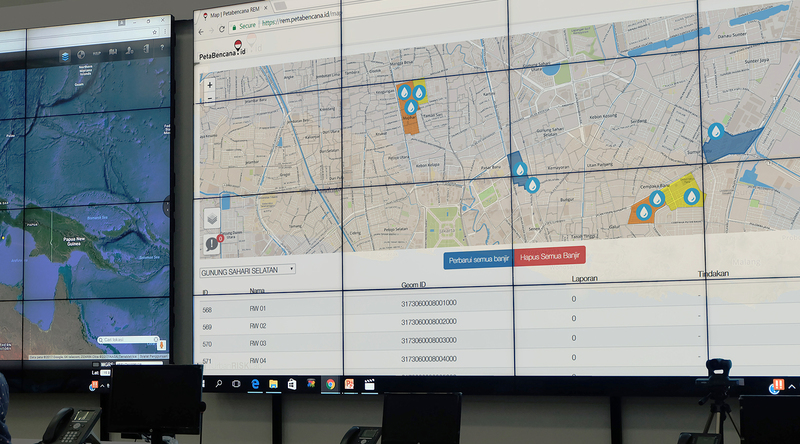 Currently operating in four cities, Greater Jakarta, Bandung, Surabaya and Semarang, the flood map feeds the crowdsourced data to emergency managers and PDC’s Disaster Management Early Warning platform called InAWARE through a custom-built REM (Risk Evaluation Matrix). This project - supported by TATA Center for Technology and Design at MIT - - is focused on urban hazards vulnerability of Indian cities. Currently operating in the city of Chennai, this platform gathers confirmed flood reports from social media and messaging platforms which are then added to a publicly available map helping inform communities about the flood situation in real-time. This platform is planning to feed the crowd-sourced data to the Emergency Management Department of the Chennai Municipal corporation through a custom-built RED (Risk Evaluation Dashboard).